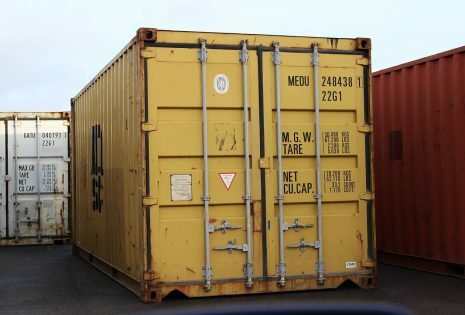 Storage containers are an incredibly durable, convenient and versatile way of storing a variety of different cargo, as well as prime office, workshop and small business space. Here at Unit Hire we are able to ship storage containers anywhere in the UK, delivering satisfaction directly to our customers. For those looking to rent or purchase a unit, preparing your site for the delivery of storage containers in the right way can save you a lot of trouble further down the line. Storage containers are big. Sounds obvious, but it can be hard to visualise just how much space a 40ft storage container will take up. Furthermore, once the container has been delivered, you won’t be able to move it on your own. Therefore, the first step to take when preparing for delivery is deciding on the best location to place it. To work out just where you’d like your container to go, it’s a good idea to mark out the area with cones or rope. This will give you an accurate representation of exactly where your container will be placed. Plus, it will provide you with the opportunity to check that you’ll be able to enter and exit your container seamlessly. Make sure not only that you can get into your container, but also that you have spare room for it to be unloaded from the lorry. A rule of thumb is to leave enough space for two containers for delivery. For instance, for a 20ft container, give yourself 40ft of room for a stress-free delivery. Marking out the area where you’ll place the container can also help you prepare the ground itself, but more on that later. 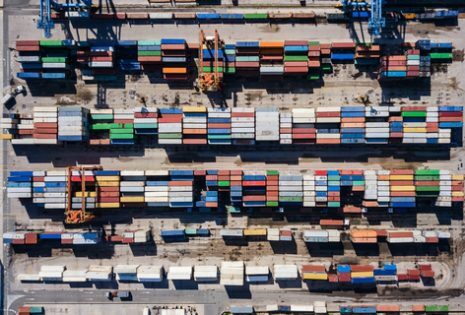 One important factor to remember is that, not only will the ground need to be clear, but also to make sure that there are no obstacles above the location of your container. 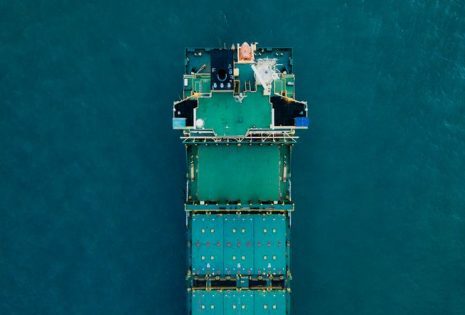 These could include any power lines or large trees, which can interfere with the loading and unloading of your container from the delivery truck. Such obstructions will cause some real problems for a crane carrying a storage container. Once you’ve decided on the area that your container will be delivered to, it’s time to actually prepare the ground for the container. The most important step to take at this stage is to ensure the ground isn’t too soft. 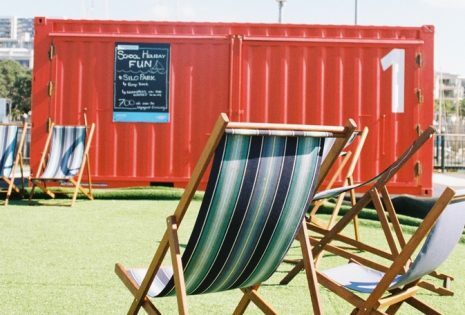 Although containers are one of the most weather-resistant and durable storage solutions, at up to 20 tonnes when full, they’re liable to sink if placed on a particularly soft patch of ground. Additionally, if placed directly onto consistently damp ground, the bases of even the most durable storage containers will eventually be damaged over time. If you’re stuck for options and placing the container on damp ground is your only choice, maybe consider putting down some gravel or wooden planks as a form of additional support. 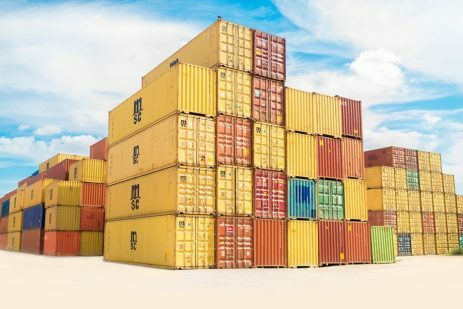 If you’re intending on keeping your container indefinitely, it may be worth the investment to simply pave the area where it will be stationed, this ensures the absolute best conditions for your unit. Placing supports, such as concrete blocks or jack pads, beneath the corners of your container as elevation is one of the best way to prepare for the delivery. Not only will this slight lift prevent the container from sitting in wet ground, it will also allow air to pass beneath. This will keep the underside of the container consistently dry. However, aside from ensuring protection from the elements, container supports also make for an excellent way to keep your container level and stable. If a shipping container is not kept on level ground, sinking is only one of your worries. A container placed unevenly can cause further problems. Doors can often become stuck, or the locking mechanisms can fail to work. Therefore, a stable container is a happy container, and you’ll be a happy owner. When placed on supports, you won’t find your office sinking into the ground, nor will you be effectively locked away from your important stored items. Hopefully this guide will have equipped you with all the information necessary to prepare your site for the delivery of a storage container. With the right preparation, you can ensure that you get the most out of a container. Whether you have it for a month, a year, or ten. Feel free to get in touch with the friendly Unit Hire team for a quote on your worksite facilities.